Place oats into a blender and blend to a fine consistency. Add seasonal fruit, such as mango or peaches, to get more fruit into their day. 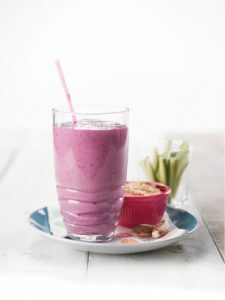 Turn breakfast into a lunch-time treat: pour smoothie into a drink bottle, freeze overnight and pack it into your child’s lunch box.